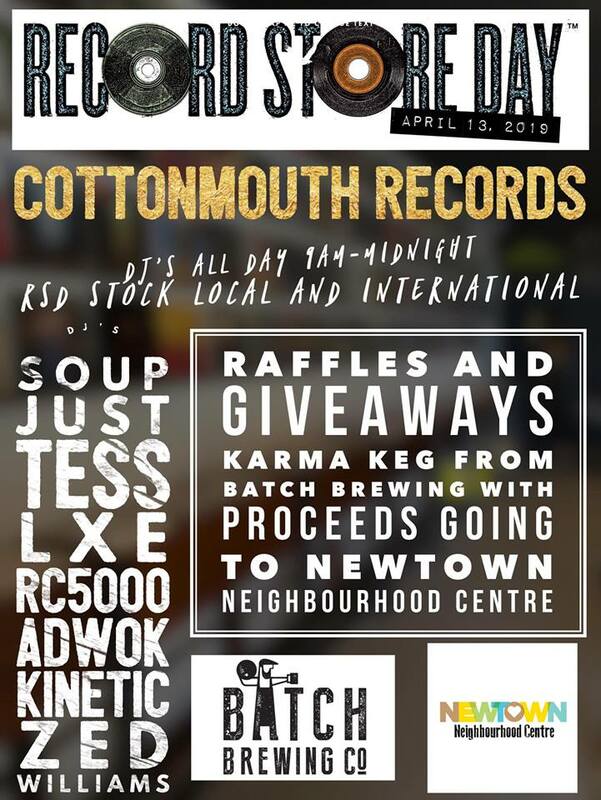 Cottonmouth Records, Newtown, NSW: DJs until midnight! Open until midnight! With DJs all day from opening at 9am until midnight! Check out the list below for the line up of DJs. 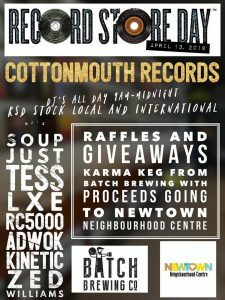 Plus raffles and giveaways and a Karma Keg from Batch Brewing, with all proceeds going to Newtown Neighbourhood Centre. Note: all ages until mid day only. At mid day the beer is rolled out so by law minors are not allowed on the premises. Oh! And of course, lots of Record Store Day releases and other records, both local and international. Newtown Neighbourhood Centre is a non-profit organisation that provides assistance to people who are the most vulnerable, with a particular focus on those at risk of social isolation, homelessness and domestic violence.